Sometimes when an intern and employer connect, it’s fate. The communication is great; you learn from each other each day; you are challenged and energized by solving day-to-day business problems and, as a student, make great leaps towards building your future career . But other times, an internship feels like, well…a struggle. If you’re not sure that both you and your employer are gaining skills or knowledge from the internship experience, then listen up; this article is for you. If you are fortunate enough to land a paid position, you are equivilent to an employee of the company you are interning for. Unless it is a violation of a “learning contract” between you, your employer and your school, the employer has the right to ask you to do busy work (filing, scanning, answering phones, coffee runs!) as much as they want to. If you are not getting paid, your time spent at this company must be educational and no more than 20% of your time should be spent doing busy work. These are basic regulations all employers must follow if they take on an unpaid intern. If you find yourself doing much more busy work than you should be, it’s time to have a conversation with your employer and maybe even your career services office (if you have a learning contract in place). Try to rectify the issue as soon as possible to turn your blah internship into a positive experience. Can you offer insight on everyday problems? Companies love getting a fresh perspective, whether it be on package design, accounting dilemma, or marketing approach. Part of the reason why companies bring on interns is so they can gain new opinions on how their product or service is perceived. Don’t be shy about offering your perspective. Just try to provide criticism in a kind, constructive way – and with the right audience. Consider the principals you’ve learned in the classroom and apply them to problems you encounter at your internship. How satisfying is it to actually use what you learned in school in the real world? 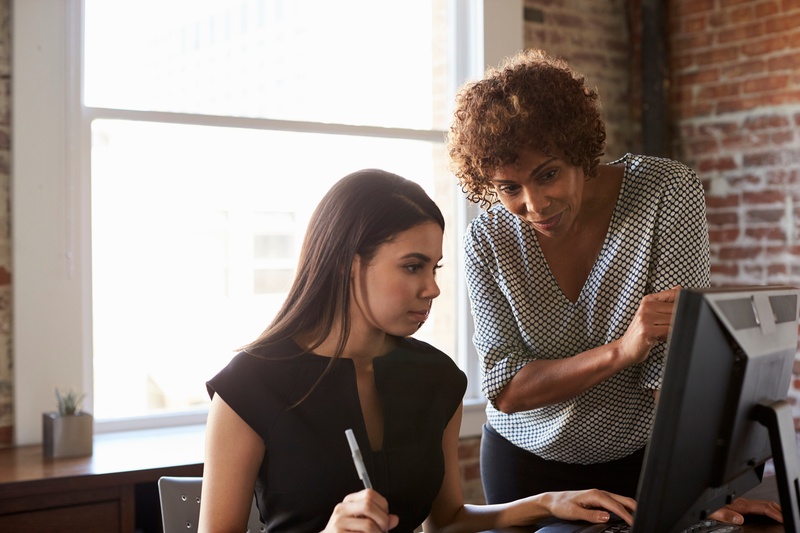 By providing your insight regularly, you will show your employer you care, can solve problems, and may help you build more trust with your supervisor. All of this will help you get more out of your internship experience. Are you acquiring new skills? Your internship is supposed to be one of the building blocks to lead you to your future career. What better way to learn than in the field itself!? You should be applying the formulas and theories you’ve gained throughout college at your internship, but your supervisor should also be able to teach you something that you can’t learn in school. It could be a computer skill, a theoretical approach, or even a life skill (never underestimate the importance of “soft skills” in the workplace). Anything you gain from your internship experience is considered a win! Be open-minded to feedback because it could teach you a valuable lesson. Is there something that you want to learn how to do? Ask your supervisor to teach you! They love when you show initiative and interest in what they’re doing. Take any opportunity you can to learn. Adding another skill to your resume could make you more desirable to future employers. Never sit idly waiting for your next task. Be proactive and you’ll find you get much more out of your internship! Internships are great to have, whether yours is a positive or negative experience, because they teach you something that you can’t really learn in a classroom. Many internships (as much as 70%, according to NACE!) even turn into full-time job offers! That’s how I landed my full-time position here at RISLA. I was hired as a marketing intern and now I have a full-time job as a Marketing Associate. I was testing the waters with my supervisor and colleagues without even knowing it – how exciting! Remember this and maybe your internship will turn out the same. Best of luck! Ready to start you internship search? Try our free internship finder tool. Go to bridge.jobs to land your next internship.